The Angel Gas Condensate Project is Woodside’s first unmanned Platform. As part of the planned expansion of the North West Shelf, Woodside Energy Ltd. developed the Angel Gas Condensate field. The Angel reservoir is expected to produce 1.85 Tcf gas and 84 MMbbls condensate with strong aquifer support. The Angel design production rate of 800 MMscfd is produced from three subsea wells. Design life for the subsea system is 20 years. The operational production life of an Angel well is estimated to be seven to eight years. The subsea development comprises three satellite subsea production wells individually connected back to the Angel platform by dedicated steel flowline and electro-hydraulic control umbilical. The subsea trees are a large-bore 7” conventional tree design, with 18-¾” interface to both the workover riser system and wellhead. A separate flow module located on the tree features integrated choke and instrumentation. 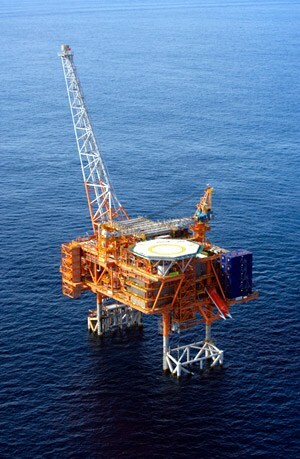 The Angel Gas and Condensate Project lies 115km off Western Australia, inshore from the North Rankin and Goodwyn fields. Together they make up the three original North West Shelf fields discovered by Woodside-Burmah in 1972. The field’s platform is about 49km east of the North Rankin A platform and about 20km north-east of the Cossack Pioneer facilities. Amiga Engineering Pty Ltd supplied Woodside Energy directly with Australian Made manufactured Flanges, Spades and Blind Flanges.